October security patch is available now go get it. anmoljha, 26 Oct 2018I have purchase recently nokia 7 plus from a retail shop. I just want to ask that my phone is ... morethe phone's back panel is flat. The only thing that doesn't make it flat is the camera lenses bump. Got recently Android Pie.It works fine.Batery more or less 5h sot.Camera is very good.After Pie update,Google search bar cannot be removed from home page,so I use alternative louncher.After 1 month of usage,I can say good value for money. Is this phone suitable for someone who accidentally drop the phone frequently. Is the phone durable. Heard the phone is aluminium body. Souvlaki, 29 Oct 2018I'm planning to buy the Nokia 7 Plus now, but I've heard it has some software issues 1. Camer... more1. no such issue while video recording i have phased. after you finished taking video, go editing in the galary you will find something like stabilise the video which will correct all. 2.. while charging it gets heated but its just negligible nothing to worry its normal. 1. Camera video recording blurs if you move from objects to objects a little too fast, due to EIS issue. Good camera is one of the reason I'm getting this phone. So this would be a deal breaker for me. 2. Does the phone gets alarmingly hot during charging? This would make me doubt the durability of the phone. 3. Android One animation lag / input delay. This is just a minor issue to me. Manish, 28 Oct 2018After updating to pie call volume changed to high in every call. No call recorder work, I had... moreNo call recording support on Pie. After updating to pie call volume changed to high in every call. No call recorder work, I had tried different call recorder from play store, but they record only my voice , not other side. Phone app is not good, call history shows only 15 days call log. What do you think - this vs samsung a7 2018 vs a8 2018 ? I can compare parameters on paper myself, i want real life experience, like quality, software updates and so on, what would make you buy one over another. 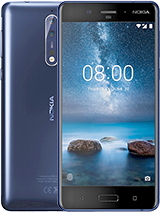 I have purchase recently nokia 7 plus from a retail shop. I just want to ask that my phone is little bit bend/curve from backside (on nokia label). Is that a design of the nokia 7 plus or something is wrong. Mayor Rhymes, 24 Oct 2018This phone is somewhat nice and stupid especially in an African market. This phone sells for a... moreThat's not true, the phone is exceptionally light. Prices in different regions of the world are priced differently, in Europe is no more than 350 euro. Yes there is no IR blaster..but do you need one. The camera is alright I can't say it's below flagship quality but I can't say it's better. Capvnn, 26 Oct 2018Hi all, - I'm consider to buy this phone, mostly because of battery. Could you let me know wh... moreYeah, as it depends on the brightness you're using the phone, you will see at 6 to 8 hours of screen time. This is with 4G+ always on, with casual use of messaging YouTube, phone calls and such. I never left myself with the need of charging the phone twice a day. Depends on my usage personally sometimes I use the phone for 2 days straight and I still come home with battery left. Capvnn, 26 Oct 2018Hi all, - I'm consider to buy this phone, mostly because of battery. Could you let me know wh... moreno issues after android 9 update.Battery backup increased,bit smoother multitaskings are the pros of updating to android 9 with no cons for me. - I'm consider to buy this phone, mostly because of battery. Could you let me know whether it still good when update to android 9, thank you ! After the Android 9 update, I have faced Bluetooth connectivity issue and wifi keep disconnecting issue. so I read some tips here and factory reset the phone. All issues are solved but now battery backup is very less. Anyone Please suggest. Total of 2802 user reviews and opinions for Nokia 7 plus.